Goa has rich and varied wildlife destinations. The geographical location on Western Ghats gifted this land with an array of wildlife sanctuaries which is also a vital facet of Goa tourism. These wild sanctuaries and parks are enchanting destinations teeming with varieties of wild animals, birds and plant species. Nature lovers, bird-watchers and wildlife enthusiasts from across the globe come here to experience the varied collection of nature. This is Goa’s only bird sanctuary located on Chorao Island on the Mandovi River. It is one of the most famous bird sanctuaries in India that has been named after the famous ornithologist of India Dr. Salim Ali. This bird sanctuary is one of the smallest bird sanctuaries in Goa spread over an area of just 1.8 square kilometers. Though it is small, it has a variety of species of birds and plants which summon large number of bird watchers and bird lovers from several parts of the globe. The mangrove ecology nestles several varieties of birds and plants. 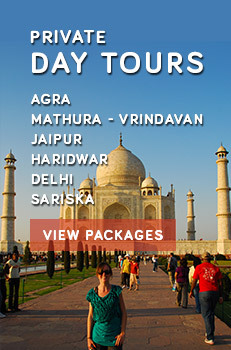 The exotic collection of 400 species of birds, including migratory, are the chief attractions for the tourists. The best time to visit the bird sanctuary is from October to March because the weather is pleasant and birds come here in plenty. Some of the well-known birds that can be seen here are kingfishers, mudskipper, pintails, black drongo coots, egrets, etc. This is another popular wildlife sanctuary of Goa located 53 km from Panaji in Sanguem taluk, South Goa. 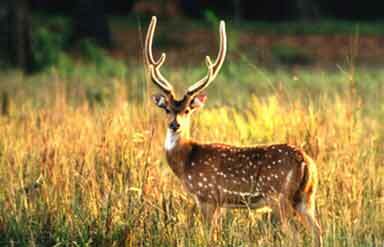 It is the largest wildlife reserve in Goa spread over an area of 240 sq. km. The thick forest of the Western Ghats nurtures exotic species flora, fauna and avifauna. The Bhagwan Mahavir sanctuary also has interesting geographical formations like the Devil’s Canyon and the Dudhsagar Waterfalls. The Devil’s Canyon is an ideal place to have a panoramic view of the wildlife reserve. This wildlife reserve is particularly known for its Leopards, Elephants, Deer, Gaur and Indian Bison. This is another popular wildlife sanctuary in Goa situated 52 km from Panaji in the foothills of the Western Ghats. It is one of the smallest wildlife reserves of Goa spread over an area of around 8 square kilometers. This sanctuary was initially established as a refuge for injured or orphaned animals. The well-known attraction of this place is a botanical garden, a rose garden and a small deer-park. 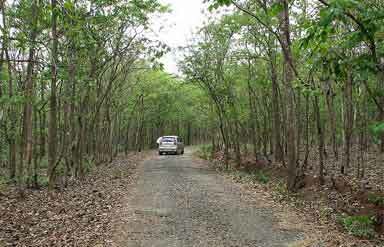 The landscape of the Bondla wildlife sanctuary is beautiful with lush green vegetation. 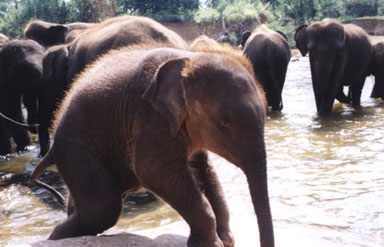 It is the second largest wildlife sanctuary in Goa spread over an area of 86 sq. km. The Cotigao Wildlife sanctuary was established in 1969. This wildlife reserve is known for the verdant forests plentiful in flora and flora species. The vegetation of this sanctuary is mostly moist-deciduous type with patches of semi-evergreen and evergreen forests. Some of the most sighted animals of this national park are Laughing Hyenas, Sloth Bears, Indian Bison, Gazelles, Wild Boars, Deer, Monkeys and many more. The bird species of this sanctuary include white-eyed eagles, rufus woodpeckers, malabar crested eagle and more.